Ever been in a meeting where someone from IT drops an acronym that no one understands? 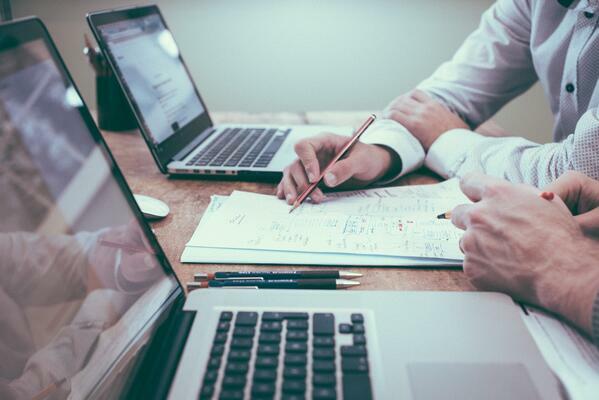 Right, me neither… In any case, one of those acronyms may have been “API.” Let’s look at what they are, how they can be applied and why you should consider using them prior to customizing your existing applications. APIs, short for Application Programming Interfaces, are the bridge between software applications. They allow various programs to send and receive data from each other and can make a limited number of functions within a program available for external use. The available functions and expected data structure are very well documented, allowing integrators to easily connect and send requests to the application. In the world of cloud hosted Warehouse Management Systems (WMS), APIs can be used to connect a WMS to related software such as a shipping program. The WMS can make an API call to the shipping software to request shipping rates or tracking numbers. Those two shipping software functions, available through the API, require the WMS to send data such as package dimensions and ship-to address. The shipping software then responds to the WMS with the requested shipping rates or tracking numbers. Using APIs to connect to third party applications provides access to a wider range of tools without having to build out functionality in an existing application. Customizing an application can drive up costs through initial development and future maintenance. Both these costs, over the life of the application, should be considered when deciding between customization or connecting to a third-party application via an API. Next time someone mentions an API, listen closely, they may be trying to save you a buck! Interested in learning more? 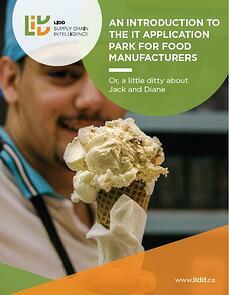 Download LIDD’s eBook An Introduction to the IT Application Park for Food Manufacturers.